The Election Commission (EC) on Sunday wrote to the finance ministry’s revenue department saying that agencies under it should conduct enforcement actions in an impartial manner. This co­mes on the day the Income-Tax (I-T) department launched pre-dawn searches against pe­ople linked to Madhya Pradesh Chief Minister Kamal Nath on charges of alleged tax evasion. The commission also asked the revenue department to inform it about any raids when the Model Code of Conduct was in force. On Sunday, the I-T department searched at least 50 locations in Delhi and Madhya Pradesh against people linked to Kamal Nath. PTI reports said the searches were linked to suspected hawala money movement during the polls season and tax evasion. Cash amounting to Rs 10-14 crore was recovered, a PTI report quoting I-T department officials said. 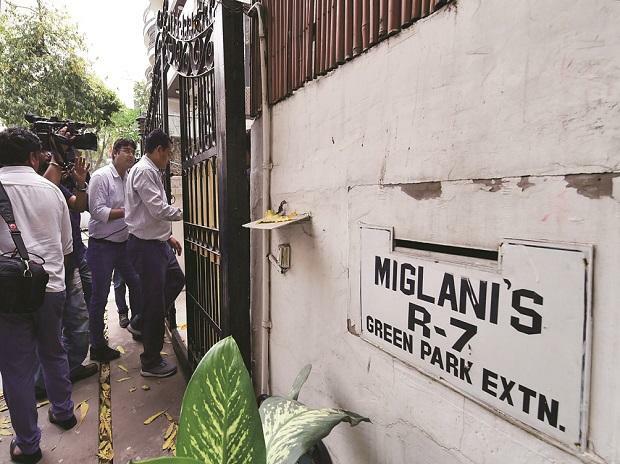 Locations in Indore, Bhopal and Delhi (Green Park) were raided and those being searched included Nath’s former Officer on Special Duty Pravin Kakkad, former adviser Rajendra Miglani and executives linked to his brother-in-law’s firm Moser Bayer and his nephew Ratul Puri’s company. “It is understood that all enforcement agencies working under the administrative control of the Department of Revenue, Ministry of Finance, must be undertaking enforcement actions based on a variety of inputs and actionable intelligence, as per extant laws,” said the letter addressed to Revenue Secretary Ajay Bhushan Pandey. The Model Code of Conduct has been in place since March 10 and will continue till the end of the elections. PTI also wrote that the I-T department roped in Central Reserve Police Force personnel to keep a vigil. Generally, the I-T department takes the help of local police during such operations. The searches snowballed into a political mudslinging. “Black money worth crores were recovered at the house of private secretary of MP Chief Minister Kamal Nath. This has made one thing clear that those who are thieves have a complaint against the watchman,” PTI quoted BJP’s national General Secretary Kailash Vijayvargiya as saying. Nath said the BJP was taking such actions for electoral gains. “The situation about the raids is not clear yet. It will be appropriate to speak after the situation is clear. But the entire country knows how the constitutional institutions were used and against whom they were used during the past five years,” Nath’s statement said.